Classy and romantic! 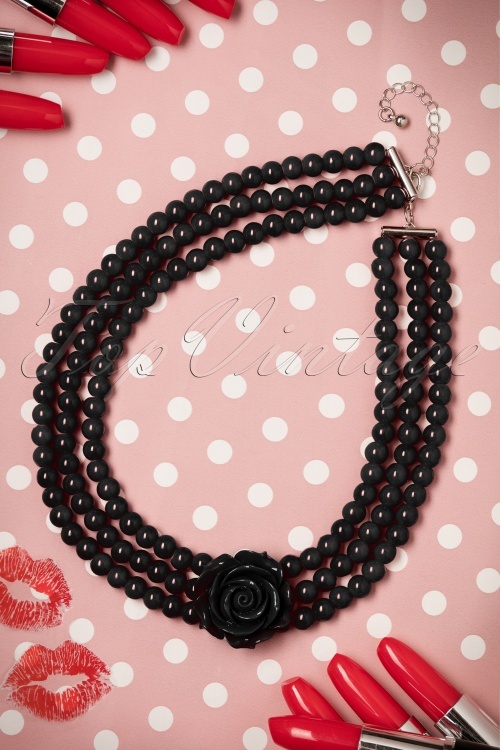 This heavy quality short pearl necklace is made from three cords of black "faux" with an eye catching detail of a gorgeous rose... stunning! très chique! 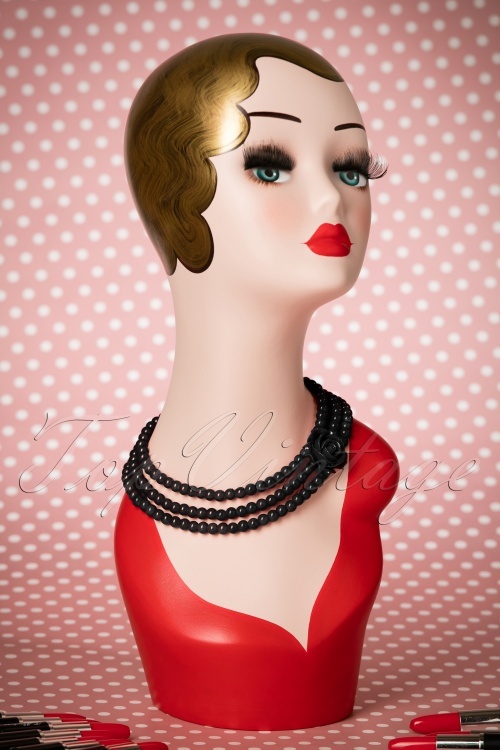 A statement piece every vintage lady should have! Those accessories are just perfect for evenings, when you want to be original but not spend too much on it ! Great !!! Beste Monique, wat erg dat je een defecte ketting hebt ontvangen. Onze excuses! Ik ga je meteen mailen zodat we een oplossing kunnen vinden! Beautiful to see and smooth to touch as well, but definitely not worth the price - as I was removing the tag, the whole necklace came off in a million pieces - the string keeping it together is cheap plastic. 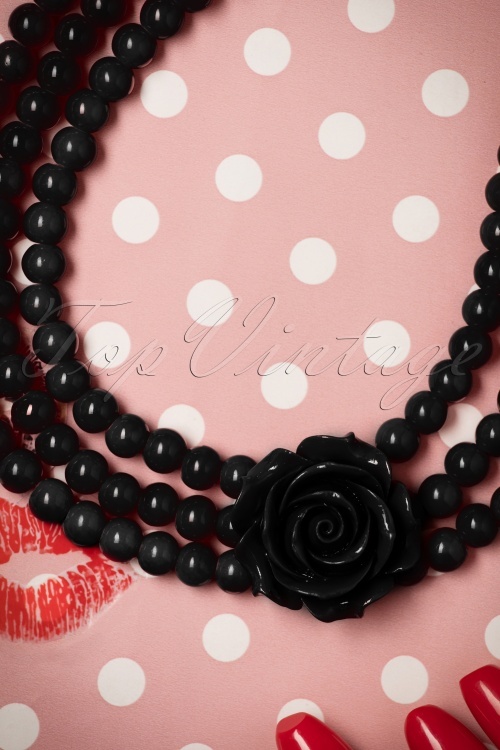 I practically own faux jewellery only, and this is not worth the price. I couldn't even have the pleasure to try it on. I don't know what to do: if I return it I must pay the shipping fees, but maybe getting it fixed will cost me less? Dear Paola, we are very sorry to hear that the ordered necklace broke after you tried to remove the tag. Please accept our appologies for this inconvenience. We will soon get in touch with you and offer a solution for this problem.